Dr. Nicolas Picard graduated as a forest engineer from AgroParisTech-ENGREF in 1996, then obtained a PhD in forest sciences from the same school in 1999, and an accreditation to supervise research (HDR) in biology from the university of Montpellier 2 in 2007. He has been working as a forestry researcher in CIRAD from 1997 to 2015, with successive positions at the Institute of Rural Economy in Bamako, Mali (2000-2004), at the Research Institute in Tropical Ecology in Libreville, Gabon (2006-2012), and at the Forestry Commission of Central Africa in Yaoundé, Cameroon (2012-2015). He worked on savannah productivity in Sahel, on the forest dynamics of tropical rainforests, and on forest carbon assessment. He is currently Ingénieur for the French Ministry of Agriculture, Agrifood and Forest, and in charge of the Secretariat of the Committee on Mediterranean Forestry Questions-Silva Mediterranea within the Forestry Department of the Food and Agriculture Organization of the United Nations(FAO). Ms. Valentina Garavaglia is graduated in Analysis and Management of Natural Resources (2006) and has a PhD from the Earth, Environment and Biodiversity School (2010) both from the University of Milan. She is currently working for the Secretariat of FAO - Silva Mediterranea, involved in supporting the implementation of several activities focused on Mediterranean forest ecosystems. 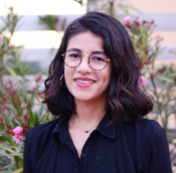 She is directly involved in the coordination of the component 1 of the project “Maximize the production of goods and services of Mediterranean forest ecosystems in the context of globalchanges” funded by the French Global Environment Facility (FFEM). She is co-author of the first State of Mediterranean Forests 2013. Ms. Garavaglia is also working for the Forestry Research Centre of Arezzo (CRA-SEL) as scientific secretary of COST Action FP1202 “Strengthening conservation: a keyissue for adaptation of marginal/peripheral populations of forest trees to climate change in Europe (MaP-FGR)”. Ms. Caterina Marchetta is an experienced communication specialist who has been working at the Food and Agriculture Organization of the United Nations (FAO) since 2009. At FAO she is currently working for the Secretariat of the Committee on Mediterranean Forestry Questions-Silva Mediterranea and the Forest and Landscape Restoration Mechanism team within the Forestry Department. Previously, she has worked for the press service of the Mexican Embassy in Italy and the African Medical and Research Foundation (AMREF). She holds a Master's degree in International Development and Planning from the Interuniversity Research Center on Sustainable Development of Rome (Italy) as well as a Master's degree in Marketing and Communications from Rome Business School.